Classic, durable and always in style. 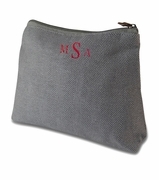 Cotton canvas accessory pouch for bath and body accessories, small travel items, or tech travel cords. 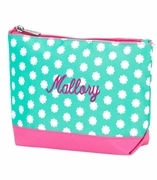 It can hold pens and pencils for work and even be used as a purse, the list is endless. 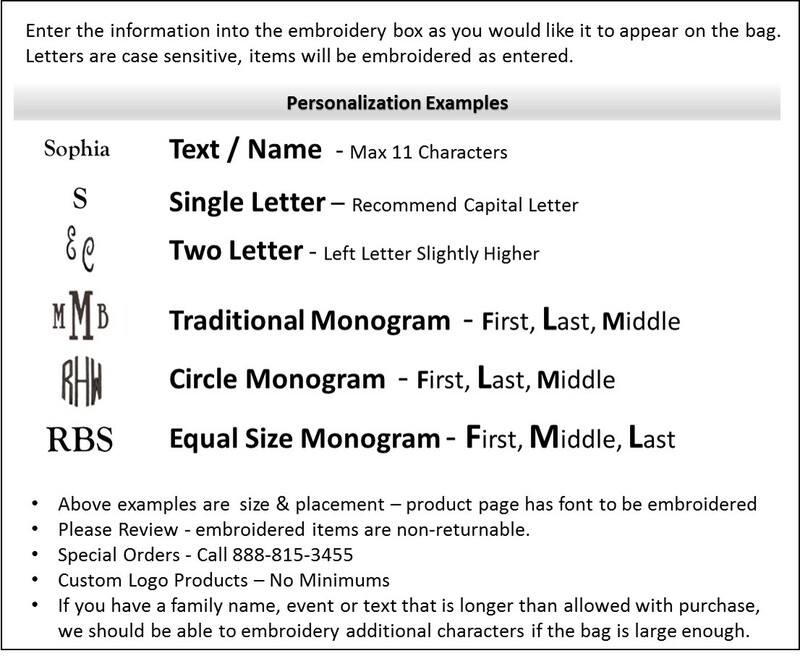 This versatile little tote bag with an envelope bottom and zipper top will be with you for many years. In your choice of fashion forward colors gold-chocolate. 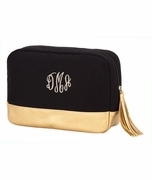 The design features a color block style, add a three letter accent monogram to complete the look. Ideal for business travel or leisure weekends at the gym. Matching companion pieces include, duffle search item CC-DFL97792 or shoulder tote item CC-SHT97785. 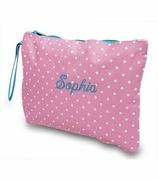 Cotton canvas accessory pouch measures 11" x 9". Cotton lining.